Her mother joked and said “Don’t get married and don’t join a cult.” Little did she know how prophetic her words would be. When you’re in matric and planning on taking a gap year, the last thing you probably imagine yourself doing is joining an American cult. Yet, that’s exactly what happened to Lesley Smailes when she went abroad. In Cult Sister, Lesley shares what it was like living with an infamous cult and how she survived inspite of everything that was thrown her way. Herewithin an excerpt from her book, Cult Sister, reprinted and published with permission from NB publishers. Available at all leading stores. The night seemed to thicken and my pack grew heavier, the walk felt long and I had trouble keeping up with Thomas, who strode quickly ahead. Finally we reached the crowded station and boarded our bus just seconds before it departed. I got the last seat right at the back and poor Thomas had to sit on the steps all night long. We disembarked the next morning. Washington was one of the states that did not require a blood test to get married, but there was a three-day waiting period. It would have taken us three days to get to North Carolina, anyway, so Thomas decided that we should rather stay in Spokane and get married there. After retrieving our bags from the bus we made our way to a big park. The Spokane River ran through it and along the banks were many lush, wooded areas. Thomas scouted around for a discreet place for us to spend the night, then we went to court to apply to be married. Still feeling overwhelmed and alone, I longed for a friend to talk to. The hours seemed to drag on forever. I was already missing the sisters. I spent the rest of the day in solitude on the river bank, reading my Bible, praying that God’s will be done and struggling to write this difficult letter to my mom. I guess that this is going to be hard, very hard on you. Although this may sound awfully harsh, I am fully persuaded by the scriptures that I must forsake my flesh relations. He has given me deep peace, but I know that He came not with peace, but with the sword of variance. Well, Yeshua willing, I am going to be married in three days’ time to a man who is 27 and still a virgin and who has been serving Yahveh for over nine years. Thomas is kind, gentle, has a good, trustworthy report and greatly fears Elohim, Mom. He is a holy and pure man. I pray you receive this startling news graciously. Mom, I really don’t want to study anything other than the scriptures. I don’t want some vain degree from a foolish university or college. I want to live separate from the world, not entangled in any of its ways, to be about my Father in heaven’s work. I pray you can understand this and see. I know you are going to be very sad, hurt, and maybe feel a bit rejected. I pray you can be comforted. See Mom, all I want is Yeshua and to do His will only. All my material goods, please give to those who are in need, throw away any immodest clothing, sell what you can, all that belonged to the old, dead Lesley. Just get rid of it all. I don’t want any of it any more. Oh, how I wish you could come over and dwell with His saints. It would be hard, I know, to leave all your possessions and friends, your insurance and money worries, your job and all that. Oh Mom! How excited I am. My whole lifestyle is going to be changed for the rest of this life on earth! What a big, serious thing marriage is. Sjoe! I can hardly believe it! I will be Lesley Lawrence! I really have a big burden for you. All the pain, suffering and worry that I’ve caused you – sorry, sorry, sorry. I hope you can have peace. We ate our supper in the park in the late afternoon as the sun was setting. Just before dark, Thomas took me down to the river bank, and then turned into some overgrown woods. A little into the grove was a hidden, flat space he had found and cleared for us to set up camp. He hung up a thin piece of camouflage nylon between us. I spread out my ground cloth and camping foam and took out my small pillowcase and stuffed my down jacket into it for a pillow. After brushing my teeth I tried to settle for the night. I could hear crickets chirping and gentle river sounds. I lay there listening to these background noises for what felt like hours. I hardly ever have difficulty falling asleep, but on this night I really struggled. I was anxious and could not shake my feelings of loneliness. The next morning Thomas left me in the park again and went searching for food. But the city of Spokane was a hard place to find anything to eat because most of the stores had crushers on their dumpsters which compacted the waste. After returning empty handed, Thomas went scouting around the big park. This time he came back happy, having found an apple tree. I was very thankful for the fruit. I didn’t mind only eating apples and drinking water. During my time in America I had eaten more sweet things than I’d ever consumed in my life. I was getting a little chubby and didn’t like that. I often felt like he married an ideal, that he had this grand idea of who he thought I should be and was blind to the dust-smudged, broken butterfly girl I was. In his wanderings Thomas had also stumbled across someone’s deserted camping site a little farther up the river, and there he had found treasure – a little Bible and a harmonica. When Thomas stopped playing I tried to talk to him and tell him about my life. I thought he had a right to know what kind of girl I really was. It wasn’t easy. I wanted to tell him about Stewart, my first love, and the lovechild I was forced to have aborted, and all the pain we had gone through. I wanted him to know about the enormous emptiness I had felt after the abortion. I wanted to tell him that, despite the abortion, I felt like I had become one with Stewart in spirit, a mysterious ‘oneness’ I had never experienced with anybody else. Stewart knew how to make me sing on the inside, make my spirit rise, expanded and elated in love. Sitting on the river bank, I tried to tell this remote and mysterious stranger about the connection I had felt with my darling ‘Art’ (that was what I called Stewart). It was a union I could not deny. I was missing Stewart. I had hurt him so. But Thomas did not want to hear any of this. I wanted to tell him that I had been raped, once by a man and once by a girl. I was used and abused, hurt and damaged. I desperately wanted to share these important things with him. Tell him of the experiences that had shaped me into the person that was sitting next to him, his future wife. How I wish he had listened. Wish I could have ‘taken the veil’ from his eyes. Although I was nineteen, I was still very much a youth. A rebellious, immature, damaged minor who was hopelessly out of her depth, acting without parental consent. I started to question him. I found out he was from Texas. After dropping out of school he had joined the Church almost ten years before at the age of seventeen. He hadn’t seen his family in all that time. He had two sisters and a younger brother. He’d had two friends – Butch and Dexter – and, from what he told me, they had seemed like big bullies. Thomas had been involved in an armed robbery with them and been caught. He was on parole when he joined the Church and had seemed to get off quite lightly. As a boy, he had caught crayfish in the canal behind his home in El Paso. He didn’t talk about his mom. It seemed like the only thing we had in common was the scriptures. After three days of killing time in the park and sleeping in the bushes at night, I felt grimy and my clothes were soiled. If I was to get married, I at least wanted to do it in clean clothes. He found a warehouse along the river close to the park. Out of the wall of the warehouse was an overflow pipe, probably from a geyser, and from it flowed a remarkably constant trickle of warm water. What an awesome blessing! Running hot water! Thomas found a discarded hinged door and set up a little cubicle for me to take a shower. Another piece of wood served as a bath mat. It was all working out. At last I could wash my hair. I had a four-sided, plastic, chemical container one of the sisters had recycled into a collapsible, fold-up bucket which I was able to use to catch the water. Thomas and I each had a turn showering and washing ourselves in the cubicle. Afterwards I washed all our dirty clothes in my collapsible bucket, draping them over some bushes to dry. There was no minister, no family and friends, no beautiful music, no flowers, no wedding dress, no blessing, and no, not even a kiss. At least I would be clean and have fresh clothes to wear should the marriage take place. Keep some dignity! I was still praying that God’s will be done. I don’t know what I was expecting God to do if it wasn’t His will … Things just carried on as Thomas had planned. The next morning I awoke and put on my fresh, sun-dried clothes, combed my clear hair and brushed and flossed my teeth. I felt very small and my stomach was in a knot. I wanted to cry. Fighting back the tears, I followed Thomas to the Greyhound bus station where we stashed our backpacks and almost-empty food bags in two lockers. Then we set off to the courthouse. No earthquake had swallowed me. Nobody had intervened and stopped us. It was happening. When we arrived someone told us we needed two witnesses. This was not a wedding. I did not feel bridal. There was no minister, no family and friends, no beautiful music, no flowers, no wedding dress, no blessing, and no, not even a kiss. It was a formal procedure without a scrap of romance. Thomas had told the judge that he was not to use the words ‘solemnly swear’ or ‘promise.’ The scriptures say we are not to ‘swear at all, but let our yeah be yeah and our nay be nay’. ‘I do,’ I found myself saying. Do you, do you, do you? I do. Only I didn’t. I actually had no idea what I was doing. How big it all really was. No one had asked my mom. I was painfully aware I was disobeying her explicit exhortation. ‘Don’t get married, and don’t join a cult’ – her final words to me on the station platform. Soon it was all over. The judge said, ‘You may kiss the bride,’ but Thomas refused. Leaving the courtroom, he started talking nonstop. We found a phone box so I could call my mom. It was two o’ clock in the morning in South Africa. I told her I was not coming home, that I had just got married. She started crying and told me I was killing her. It was awful. She had been through so many traumas already and now here I was adding to her pain. I hated myself. A strange emotion to feel on a ‘wedding day’. WATCH: Another cult survivor turned author shares her experience in a video-taped interview below. 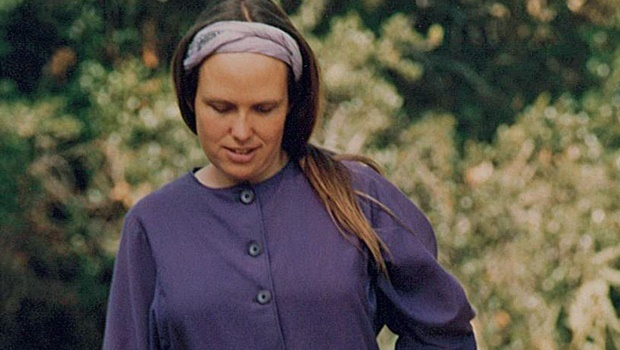 Why do young women join cults?